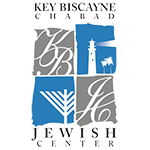 Chabad of Key Biscayne is here to provide a warm and welcoming Jewish environment for the residents and tourists of Key Biscyane. You've got questions - We've got ansers! Click here to Ask Rabbi Yoel a question. You've got questions - We've got ansers! Click here to Ask Rivka a question. Get local Shabbat times delivered to your cellphone, pager or wireless-enabled device -- FREE! Chicken Soup - Jewish Penicillin! If you know of anyone in need of some chicken soup (inlcuding yourself!) this is the place to check!